Today I am so excited to be co-hosting my first link party! 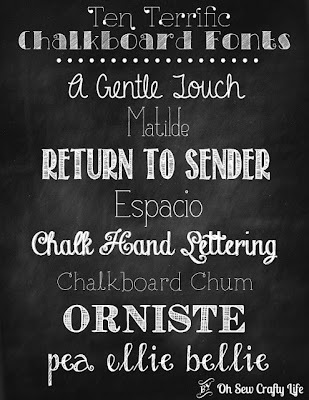 Robin from Fluster Buster is featuring my Ten Terrific Chalkboard Fonts and has invited me to co-host her link party, Fluster's Creative Muster! Be sure to stop by her blog and check out all of the great posts she has to share (my favorite this week are the Chocolate Espresso Cupcakes, yum!). Now, onto the party! 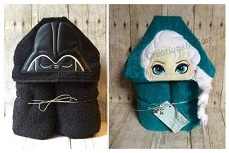 Last weeks most viewed link comes from Alyssa who blogs over at Oh Sew Crafty Life. 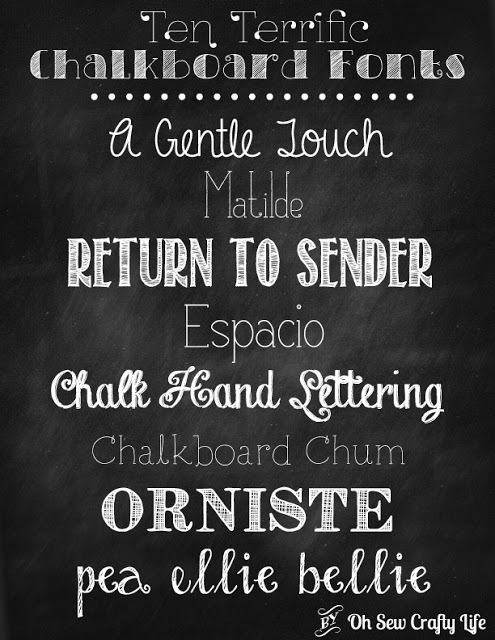 She linked up a fantastic collection of Free Chalkboard Fonts. I love fonts especially when they're free, I've already used them to decorate my Pintrest Boards. If you aren't familiar with Alyssa or her blog, Oh Sew Crafty Life, take a moment and drop by you won't be disappointed. Alyssa shares some wonderful craft ideas and some yummy recipes. 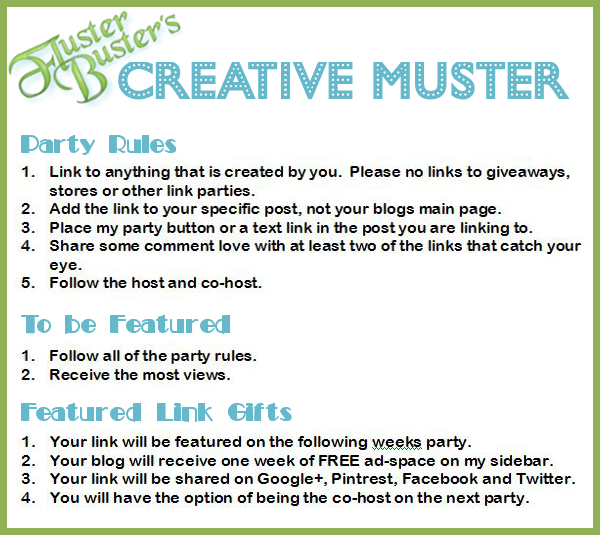 By linking to this party, you're giving Fluster Buster permission to use your photos in featured links.